I was here to find Apo Whang Od, a living legend and the last Kalinga tattoo artist to hold the title of Mamababatok – the tattoo master. 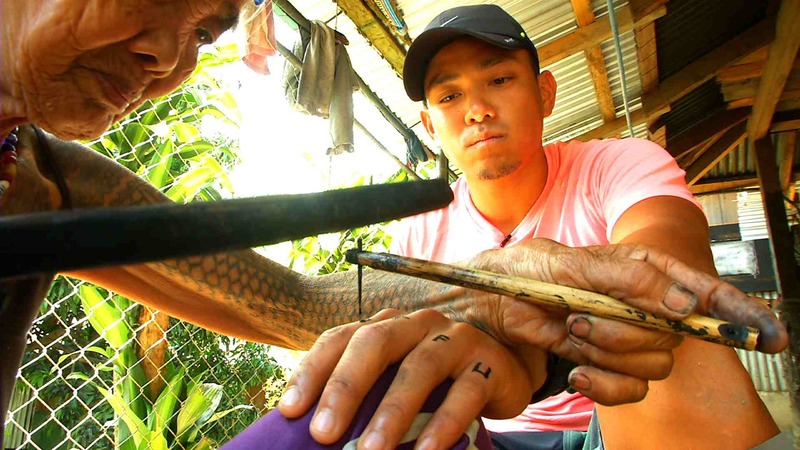 For nearly fifty years, Whang Od has been keeping the traditions of the Butbut tribe alive by tattooing with thorns, soot and a bamboo hammer.... 29 July 2017 on CODA Lines, apo whang od, fang od, buscalan, kalinga, backpacking philippines, bus to buscalan, legendary tattoo artist, photos coda lines bus If you're dreaming to reach Apo Whang-Od in the secluded village of Buscalan, start planning because here's the easiest way how, now with bus reservations through Biyaheroes ! DIY Travel Guide to Have Apo Wang Od's Tattoo in Kalinga Photo courtesy to Lynn Re I once told myself that I will only agree to get inked aka get a tattooed if it is Apo Wang Od, the oldest (95 years old) living mambabatok (traditional tattooe artist) in Kalinga province of the Philippines.... Whang-od Oggay (First name pronunciation: [ˈɸɑŋ:ˈəd]; born February 17, 1917), also known as Maria Oggay, is a Filipina tattoo artist from Buscalan, Tinglayan, Kalinga, Philippines. 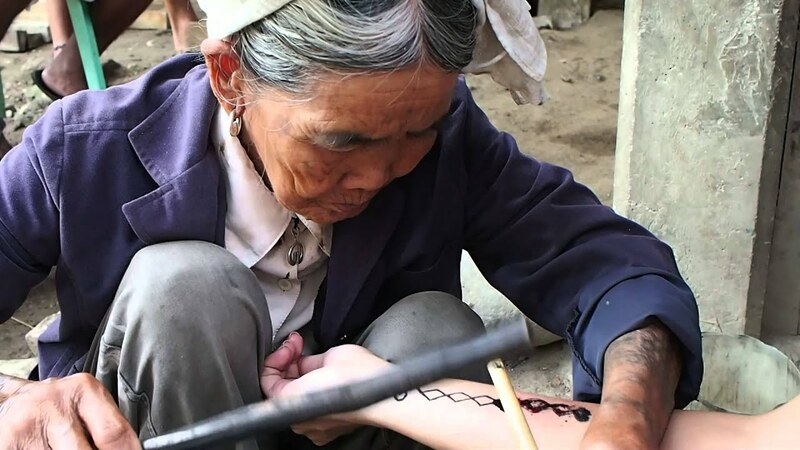 She is often described as the "last" and oldest mambabatok (traditional Kalinga tattooist) and is part of the Butbut people of the larger Kalinga ethnic group. Buscalan owes its popularity to Apo Whang-od, the last living practitioner of Kalinga tattoo tradition. Buscalan, a quiet village in the hinterlands of Tinglayan in Kalinga Province, has been — literally and figuratively — brought to the mainstream consciousness by the tri-media. Whang Od and Fang Od can be used interchangably but according to Charlie, Apo Whang/Fang Od writes her name using the latter. locals here use Nganga (Betel Nut Chewing) because they said it helps keep themselves warm and make their teeth strong. This is a really nice documentary of Fang-Od/Whang-Od. I like that you were able to interview her and get to know her up close… it makes me want to go back to Kalinga. Wonderful photos as well! I like that you were able to interview her and get to know her up close… it makes me want to go back to Kalinga.